If you are looking for a detailed explanation to search engine marketing (SEM) and why you should consider the route, here is a simple and easy to understand explanation of the topic. Search engine marketing (SEM) is one of the most reliable and effective ways to reach out to prospective customers online and drive traffic to your website. Click tweet this tip! The return on search engine marketing is excellent when compared to other online marketing means, and that is why you really need to consider it as a better online marketing alternative. It is a fact that most people don’t really know about search engine marketing as they have overshadowed their minds with search engine optimization (SEO). In this guide, I will be sharing with you everything you need to know about search engine marketing and how to go about it. Search Engine Marketing (SEM) encompasses the techniques, strategies and tactics used by webmasters and businesses to land additional visitors from search engines to their website. It is an aspect of marketing using paid advertisements. It is where marketers pay search engines to display their adverts whenever users use their bided keywords. Companies bid on keywords that users are likely to type on search engine to search for a particular product, service or information. These advertisers will pay services such as Google, Bing or Yahoo to display their adverts when their bided keywords are typed by users of these search engines. The most common kind of advert displayed here is known as Pay-Per-Click advertising. It is the most advertising channel in the world, and Google AdWords is an example of a pay-per-click provider. Search engine marketing tends to promote blog and websites on search engine results through the help of paid, organic and or contextual advertising placement as such, adding to the site credibility and visibility. Knowing how to use search engine marketing in your business can greatly help you bring in potential prospect to your business. It is a marketing strategy webmasters and businesses should employ into their marketing strategy as it can be tracked. Now, what is the difference between search engine marketing and search engine optimization and which should you consider? The difference is clear and easy to understand. Search engine marketing (SEM), also known as paid search marketing. where companies or marketers pay services like Google, Bing, Yahoo to display their adverts on their search results. when users enter keywords bided for. The goal of SEM is to generate additional traffic to a website. and transforming those visitors into potential audience and raving customers. Search engine optimization (SEO) on the other hand is all about optimizing your website to earn better rankings , and it is free. It involves some strategy that anyone can master to get his or her website displaying top on search engines. Search engine optimization lays a strong foundation for SEM via a well-structured content that audience finds helpful. SEO is also made up of two major components which are On-page and Off-page SEO. With an effective SEO strategy in place, you are guarantee of ranking top on search engine results which in return leads to more visitors landing on your website. 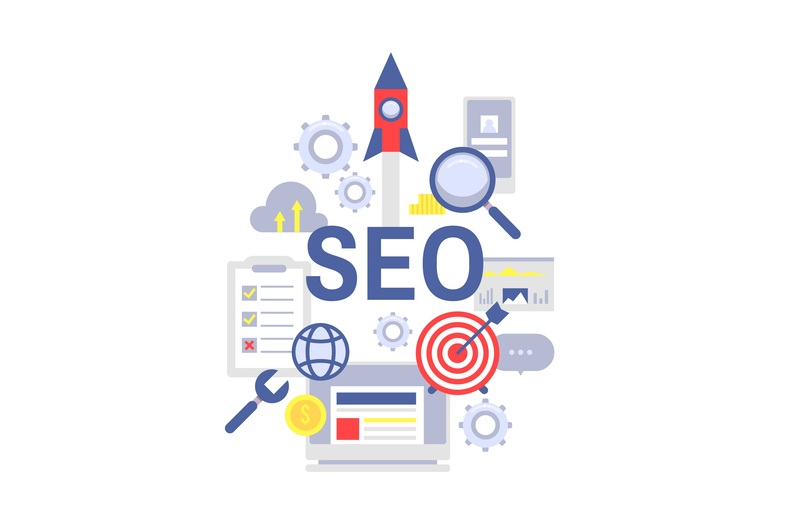 Know more SEO benefits … However, in the absence of landing page and web pages, the efforts of SEM wouldn’t be appreciated because the quality will be extremely poor and the SERPs, too will be totally difficult. The bottom line is… SEO may be seen as an important aspect of SEM. The truth is, search engine marketing goal is to drive in lead and generate traffic to your site immediately. Therefore, the major differences between the two is that, SEM focuses on paid search strategy while SEO focuses on using organic tactic. Click to tweet this tip! Now, which is Better? Both! As a marketer, you should consider using SEM and SEO for your online marketing. The fanatics on either side could boldly claim one is more efficient and reliable than the other. But before you jump into conclusion, why not view high-quality SEO as a stepping stone for high-quality SEM. They both require the help of each other. Search engine marketing is a broad and fast growing means of online marketing that has proven to be one of the highly focused means of landing targeted customers that are already searching for which brand or product to patronize. With the help of in-depth algorithms, search engine ensures that the search results displayed for each and every search are the most relevant ones in line with the location plus other necessary information. For instance, if someone is looking for information concerning a particular product or service, he or she go straight to Google search engine or any search engine and type in a search request (also known as keywords). On the search results page, different posts that matches the keywords typed alongside with company adverts will pop out. These search results appear in accordance with their prominence, locations and relevance to the search keywords. Other search listings related to the search keywords will be displayed too. The paid listing displayed are highly relevant to the search terms, making it likely that the person searching for the information will click one or two of them. Now, here is how you can you apply SEM into your online business as a marketer. First, you are expected to select a network/platform which you will use to set up your campaign. Google AdWords is one of the most popular platform you can go with, followed by Bing Ads. With Google AdWords, your ads will be displayed on search related websites owned by Google. With Bing Ads, your ads will be displayed on Bing and Yahoo’s network. While setting up your campaign, make sure you select a set of keywords that are related to your website or product/service. Also make sure you define the ad’s geographic location. Design a text-based ad placement (this is very easy to create) in the search engine results and bid at affordable pay rate for every single click. If this steps are carefully followed, you’ll come to appreciate the fact that search engine marketing works magnificently and tremendously. SEM is viewed to be the most reliable way to earn marketing dollars and experience a steady flow of income from your ads. However, it’s apparent from the foregoing that search engine marketing should be an important aspect of your online marketing strategy. It shouldn’t be an optional or an afterthought, it should be your marketing techniques backbone. Thanks sir, share valueable content. 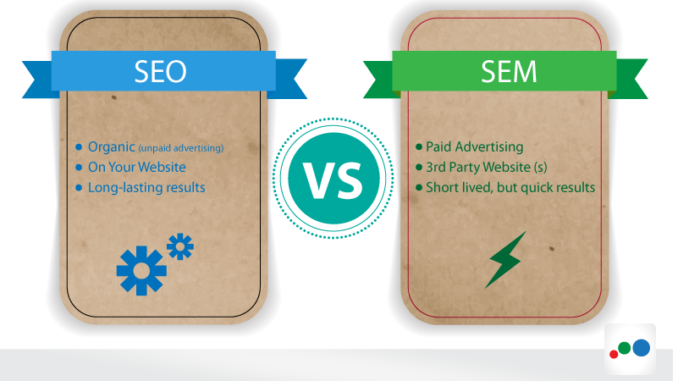 I easy to understand SEO and search engine marketing difference. I can do cloth business online then what can i prefer SEO or Search engine marketing? but one have a quotation which platform i can use SEM Google, bing ??? are talking about! Bookmarked. Please also discuss with my site =).